I have posted something like this before, but I thought it would be nice to through out this little disclaimer again. I am writing this blog as an aspiring wedding photographer. I have no doubt that the word “aspiring” will be dropped as an adjective some day, when I get clients and actually have brides and grooms and pretty pictures to write about. Until that time it is pretty much random free thoughts about those subjects that interest me. I decided to continue with my break from the History of the Olympics as seen by Tim and just free write in my usual thoughtful,humorous and light-hearted manner about a couple of subjects that were on my mind. But with the shootings in Wisconsin, I decided to postpone my blog for a day. Basically, this post is all the subjects I was going to write about yesterday, with a bit of a mention about the Wisconsin tragedy. NBC’s coverage of the Olympics is horrible. No Broadcasting Clue. NBC chose not to show the United States’ own Georganne Moline’s heat in the 400 meter hurdles. Georganne won her heat, and had a better time than the other two Americans, whose heats NBC did decide to televise. NBC did choose to rerun a segment of an interview with “Blade Runner”, that had aired the night before, and they also showed a segment on James Bond and Ian Fleming. Could they not have cut back on the special segments and found the extra time to show the other two heats of the 400 hurdles? Besides that, NBC shows three or four different replays of each race. One and done, please. Absolutely no reason to show a race from straight above. Georganne apparently doesn’t fit into whatever template NBC has for who and what that they choose to cover. 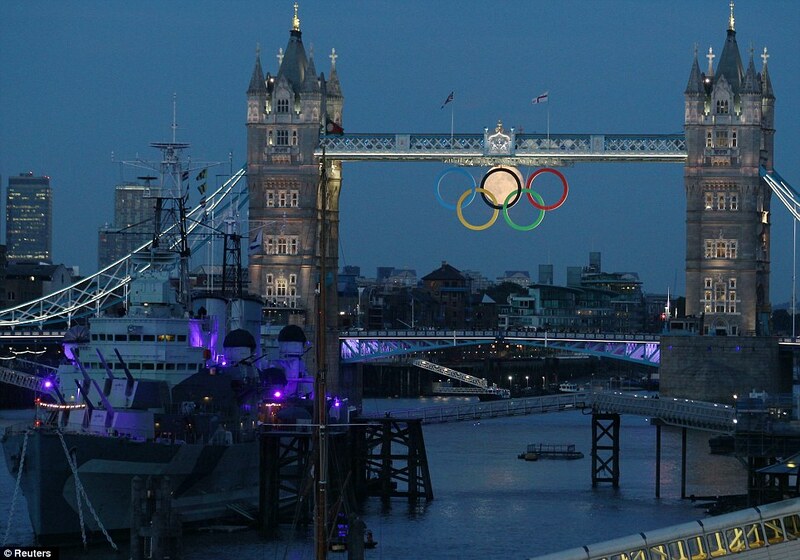 Much like NBC not televising the opening ceremonies tribute to the UK subway terror attack in 2005. Like Olga, Nadia, Mary Lou, and Keri before her, Gabby Douglass has become the sweetheart of the 2012 Olympics. I am happy for her. It is well deserved. And from listening to her interviews, she is very well grounded for a 16-year-old, and remember, I dealt with 16 year olds for 31 years. Gabby now has a $90 million dollar endorsement deal and is on the cover of Kellogg’s Cornflakes. I may even start eating Cornflakes again. But as is human nature, Gabby is getting her share of criticism about the stupidest things to be critical about. Some are criticizing Gabby for her profession of faith when interviewed. Others are criticizing her hair. Soon, I predict that when it is figured out that 10% of her income will be donated to her church, that will be criticized too. Go get ‘um, Gabby. I remember in March hearing about North Korea arresting two U.S. reporters but I just figured they would be released in a couple of days. I did not hear about them again until the verdict of the trial was handed down. At that point I researched what I could on the story. The primary reason I joined Facebook was to get connected and to keep up with the news. I wrote some letters and sign some petitions. When they came home, I remember watching their arrival live on tv at Bally’s Gym. 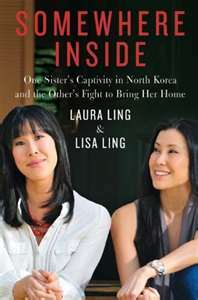 Laura and Lisa Ling wrote the book “Somewhere Inside” and Euna Lee wrote “The World is Bigger Now.” I found Laura and Lisa’s book interesting because not only because Laura details her months in captivity but Lisa also gives us the behind the scene look at the negotiations and the struggles of the families at home with not knowing what was happening to their loved ones. 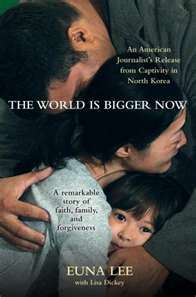 Euna’s book details her version of the story, but what makes it unique is how much her faith in God and her Christianity helped her through those dark days And both books give the readers a glimpse into mind-set and the workings and beliefs of North Korea. I would highly recommend reading their books. They will touch your heart. Finally, let me express my sympathies for the victims and families of the Sikh Temple shootings yesterday.